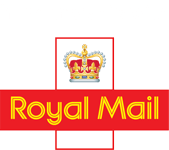 Direct Mail services for charities gives us the opportunity to work on a variety of projects with inspiring charities across the UK. For the third sector, and particularly for registered charities, UKFundraising suggests 79% of donations come from direct mail marketing campaigns. Direct mail contact between a charity and its donors is a powerful communication and fundraising tool successfully bridging the gap between charitable organisations and the public. In an increasingly digital world, choosing print marketing promotes your business in a new light, and combining digital with print marketing channels is proven to increase donations and marketing investment return. Mailing Expert provides a full range of services for charitable organisations keen to benefit from the success of print marketing campaigns. Our “Charities Friend” service offers a complete or bespoke solution to assist in the successful planning of your next direct marketing campaign. Mailing Expert’s years of industry experience and connections within the mailing industry help us navigate the complex pricing structures of bulk mailing. Our team are happy to advise how best to save money when looking for postage discounts for bulk mailing campaigns. Mailing Expert recognises the importance of thoughtful graphic design and quality printing materials. Our flyer printing service takes the hassle out of separating your planning, design and printing and combines the three to make building your personalised direct mailing campaign an easier process. In addition to printing flyers and other promotional materials, we can also store stocks of personalised stationery, gift items, and donations. Here at Mailing Expert, our aim is to provide you with all the necessary materials and successful implementation of direct marketing campaigns. Our helpful team are happy to help advise you on which services you would benefit from most and also answer any questions you may have regarding direct marketing campaigns and what we do here at Mailing Expert. Contact a member of our team to find out more about the wide range of services we offer to charities and other organisations looking to benefit from well-crafted direct marketing campaigns.